Hundreds of runners laced up their shoes early Saturday morning and pounded the pavement in and around Abilene. They enjoyed a mild, albeit windy day as the Dickinson County community came together to host the 17th running of the Eisenhower Marathon. 53-year-old Tim Mosbacher from Missoula, Montana, won the men’s title. This was his first time running the Eisenhower Marathon, and the second time he has won a marathon. He is in the process of running a marathon in all 50 states. 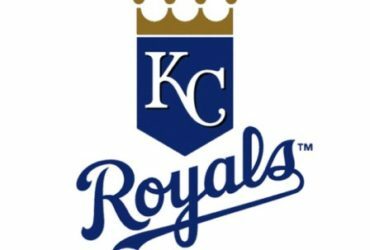 Kansas was his 44th state. The women’s winner was 39-year-old Katie Kramer from Broken Bow, Oklahoma. This was the fourth time she has won the event. McPherson college student Jared Fuller won the men’s half-marathon. 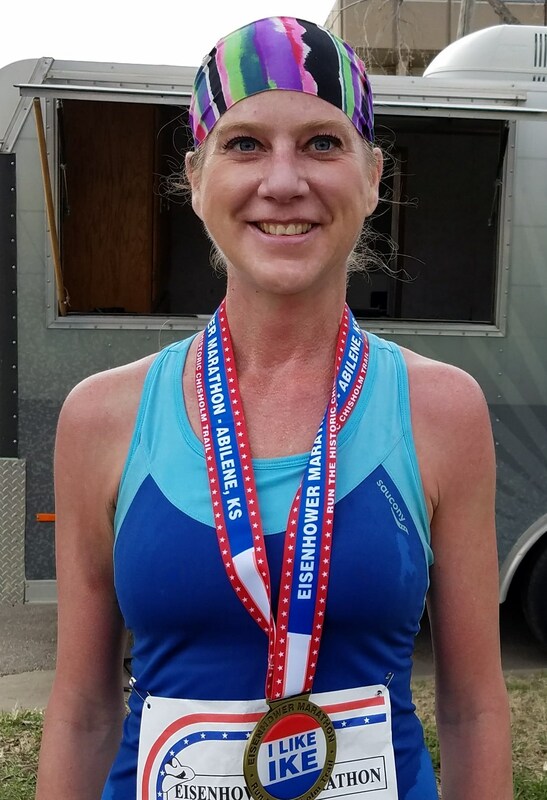 Mandy Zimmerman from Junction City won the women’s half-marathon. One of the more unique runners this year was Randy Woodward of Rockyford, Tennessee. He is attempting the 50 state challenge while carrying a large American Flag. Kansas is his 16th State while carrying the flag. He is a veteran, who was injured by a road side bomb and was told he would never race again. Tim Mosbacher won the men’s marathon. Katie Kramer won the women’s marathon. Randy Woodward is attempting the 50 state challenge while carrying a large American flag. 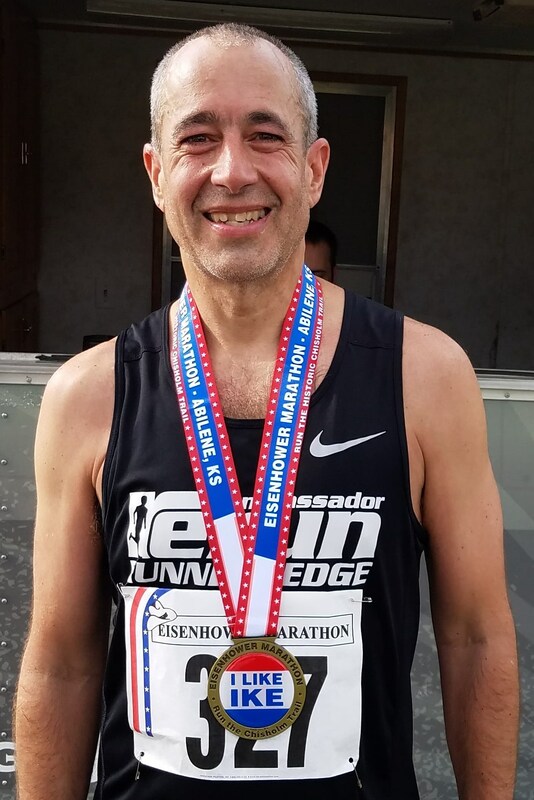 Tim Mosbacher wins the Eisenhower Marathon. Katie Kramer is the women's winner of the Eisenhower Marathon. 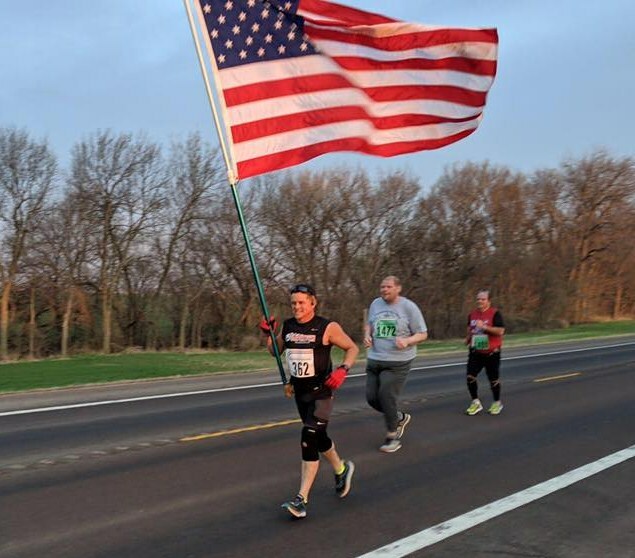 Carrying a large American flag for 26.2 miles. That's dedication!